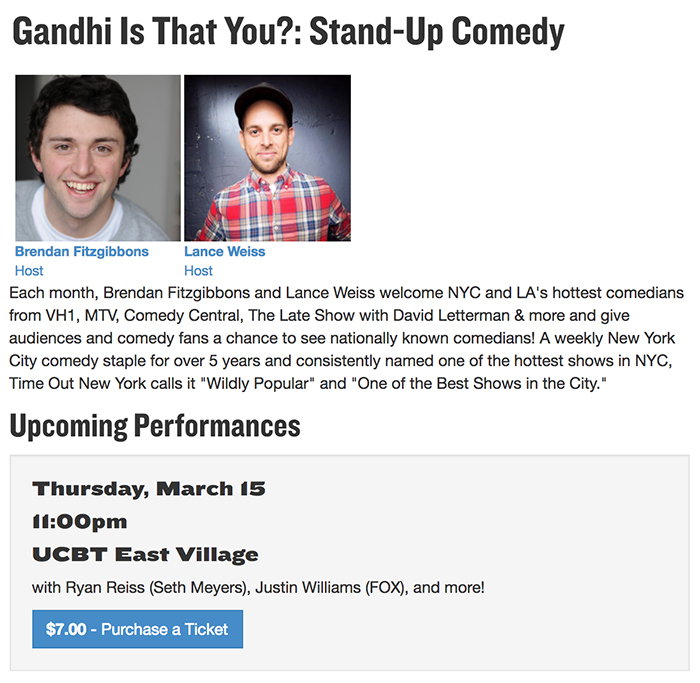 UCB Theatre East – Tonight @ 11:00pm! – GANDHI, IS THAT YOU? UCB Theatre East – TONIGHT @ 11PM! Thursday, June 21st @ 11:00pm!